LOL! Poor guy. I hate foreclosures. that poor guy is JESUS! Jesus is a carpenter, and I hear if you can build stuff, they will come. wow Vee, i would’ve never guessed that he was jesus. You win the gold medal for pointing out the obvious!!! @Avi- that means a lot coming from someone so cunning as you. Vee likes everybody I later learned. Christ, what a bummer! I started at the beginning of your webcomics today (lucky stumble!) and so far THIS is my favorite! 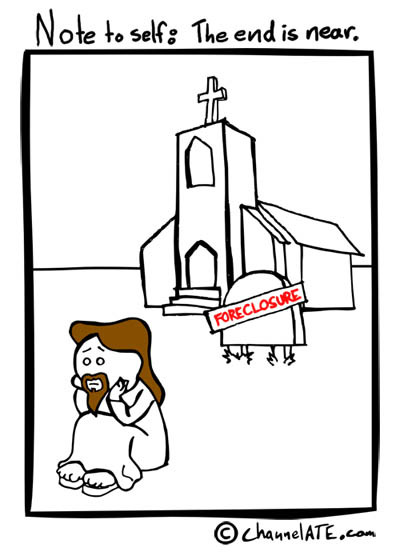 I used to do foreclosures so I find extra humor in it. OMhzPj You made some nice points there. I did a search on the subject matter and found most guys will agree with your website.